Law Tigers, America’s Motorcycle Lawyers, are celebrating its 15th Anniversary this May in Phoenix, Arizona during the AMA Pro Flat Track “Law Tigers Arizona Mile” on Sat May 14th, 2016. The AMA Pro Flat Track will be returning to the Phoenix area for the first time in 30 years and Law Tigers is excited to present this great event in conjunction with the celebration of the Law Tigers 15th Anniversary celebration. 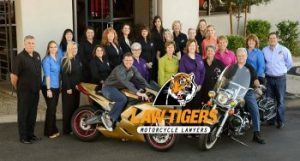 Phoenix resident and Law Tigers’ founder Warren G. Levenbaum has been a passionate motorcycle rider and staunch legal advocate for motorcyclists’ rights since he started his own law firm in 1975. He is an Honorable Founding Board Member of the Arizona Motorcycle Safety & Awareness Foundation (AMSAF) and both Warren and his son Ari, VP of Marketing and Operations at Law Tigers, are avid motorcycle enthusiasts. Ari Levenbaum has been a supporter of AMA Pro Racing for years and has been heavily involved in the Pomona Flat Track Finals and the Calistoga events. Law Tigers’ corporate team also includes renowned attorney, jurist and author Geoffrey Trachtenberg. Licensed in Arizona, California, Utah, and New Mexico, President of the State Bar of Arizona and also the President Elect of the Arizona Association for Justice. Geoffrey brings unparalleled experience and dedication to the Law Tigers and to fellow motorcycle riders who one day may need his assistance. 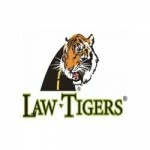 The Law Tigers is a national association of lawyers and their commitment to bikers extends well beyond the courtroom. Not only do they provide free legal services to many motorcycle clubs and organizations, they also offer free motorcycle safety and legal seminars to various groups. In addition, they are also active sponsors and participants in local and national charity rides, fundraisers, and other motorcycle events, such as the Laughlin River Run, Phoenix Bike Fest, Arizona Bike Week, Thunder Valley Rally, and Sturgis. For the first time in 30 years, the AMA Pro Flat Track will return to Phoenix, Arizona. The Law Tigers, America’s Motorcycle Lawyers, are honored to be sponsoring round 4 – also known as the Law Tigers Arizona Mile on Saturday, May 14th. This is the first AMA dirt track race in the area since Bubba Shobert completed the “Grand Slam” by winning the half-mile event in Phoenix in 1986. The race is being presented by Buddy-Stubs Harley-Davidson and will be a family-friendly event for all motorcycle enthusiasts in Arizona. The Law Tigers are proud to be sponsoring the event in collaboration with our 15th Anniversary. After sponsoring the AMA Pro Flat Track finals in Pomona for years, bringing flat track racing back to Arizona was long overdue. It was important to continue the tradition of flat track racing and Arizona is a one-of-a-kind motorcycling market. In many ways, Arizona is perfect for AMA Pro Flat Track events because of its diverse motorcycle population, incredible weather, and long history of motorcycle racing. Bringing the race home to Arizona was a labor of love and just one way that the Law Tigers continues to promote motorcycling in Arizona and across the United States. 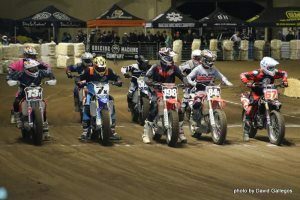 What is the AMA Pro Flat Track? 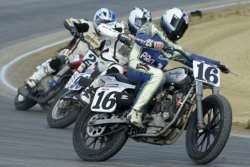 The AMA Pro Flat Track is a dirt track motorcycle racing series. While AMA Pro Racing recognizes and sanctions many different kinds of racing, the most traditional form of motorcycle racing is dirt track racing. The series is still one of the longest running championships in the history of motorsports and regarded as the most competitive form of dirt track motorcycle racing in the world. The 2016 season kicked off on March 10th with a quarter mile race at the Daytona International Speedway in Daytona Beach, FL during Bike Week. The season will end in early October in Northern California, but not before hitting 11 different states, including South Dakota during the Sturgis Motorcycle Rally. FansChoice.tv is the official home for live streaming coverage of AMA Pro Flat Track events. The site also provides coverage of IMSA’s development and single-make series, & NASCAR’s touring and weekly series. Catch all the action at http://www.FansChoice.tv. 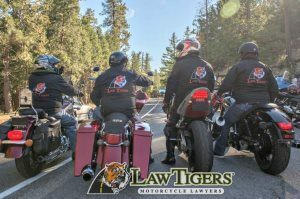 For the last 15 years, Law Tigers has been supporting fellow riders with education, legal assistance, community support, and compassion. We understand motorcyclists’ needs because we are passionate about the ride. While the principal goal of the Law Tigers is to fight for injured riders and promote motorcycle safety through education, we also like to connect with fellow riders and enjoy everything that the motorcycling community has to offer. We are looking forward to our next 15 years and many years beyond of supporting the motorcycle community. See you on the road!